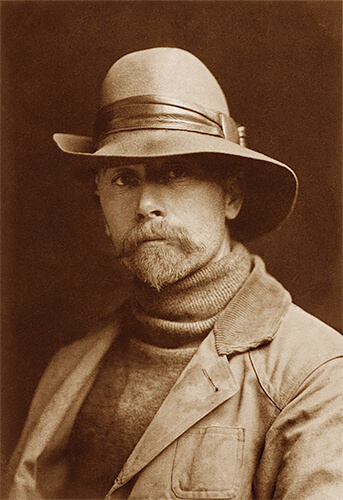 Born in 1868 near Whitewater, Wisconsin, Edward Sheriff Curtis became one of America's finest photographers and ethnologists. 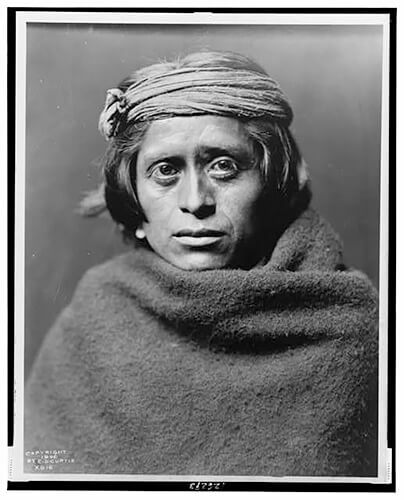 When the Curtis family moved to Port Orchard, Washington in 1887, Edward's gift for photography led him to an investigation of the Indians living on the Seattle waterfront. 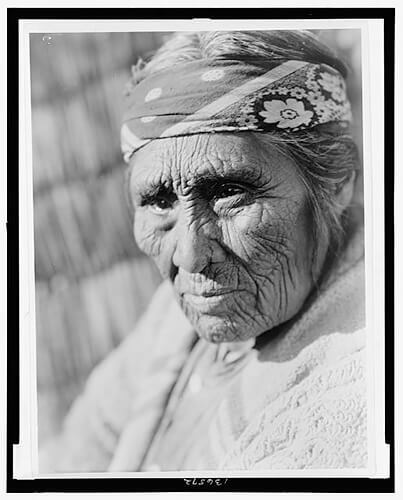 His portrait of Chief Seattle's daughter, Princess Angeline, won Curtis the highest award in a photographic contest. 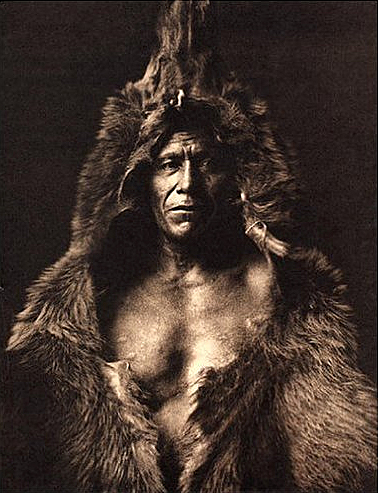 Having become well-known for his work-with the Indians, Curtis participated in the 1899 Harriman expedition to Alaska as one of two official photographers. 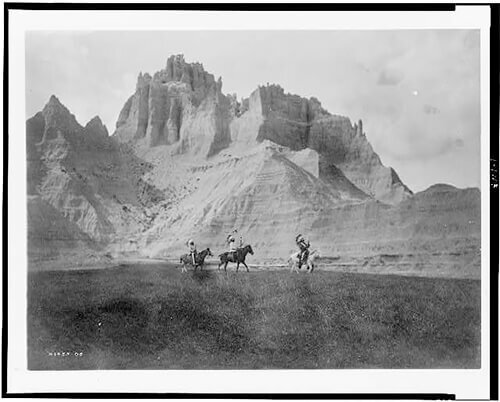 He then accompanied George Bird Grinell, editor of Forest and Stream, on a trip to northern Montana. 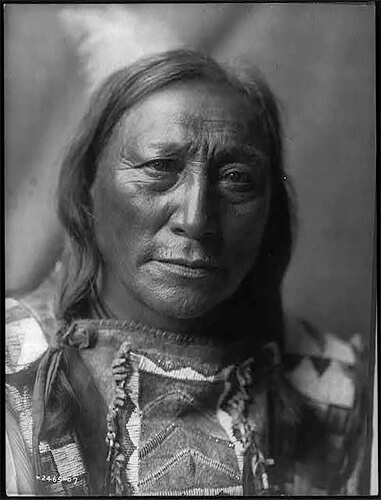 There they witnessed the deeply sacred Sundance of the Piegan and Blackfoot tribes. 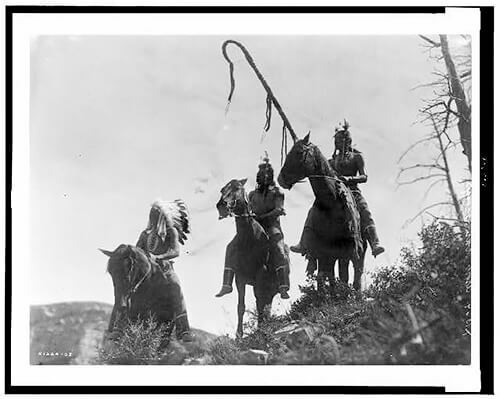 Travelling on horseback, with their pack horses trailing behind, they emerged from the mountains to view the valley floor massed with over a thousand teepees - an awesome sight to Curtis and one that transformed his life. 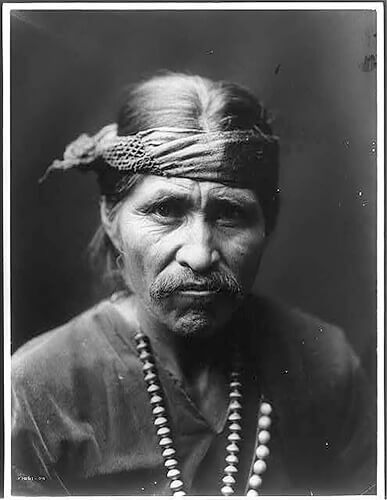 Everything fell into place at that moment: it was clear to him that he was to record, with pen and camera, the life of the North American Indian. 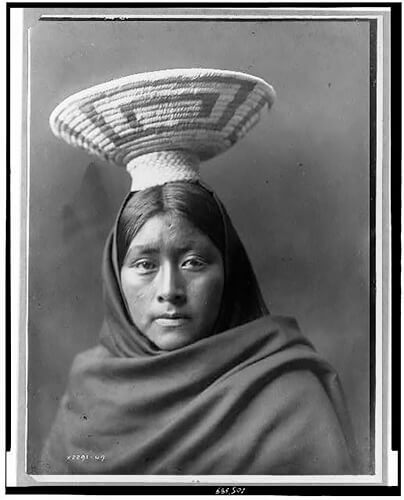 Edward S. Curtis devoted the next 30 years photographing and documenting over eighty tribes west of the Mississippi, from the Mexican border to northern Alaska. His project won support from such prominent and powerful figures as President Theodore Roosevelt and J. Pierpont Morgan. 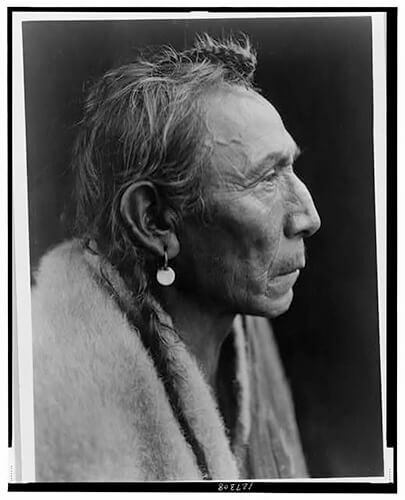 From 1911-1914 Curtis also produced and directed a silent film based on the mythology of the Rawakiutl Indians of the Pacific Northwest. 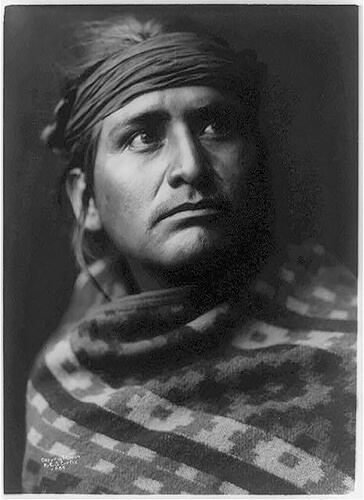 Upon its completion in 1930, the work, entitled 'The North American Indian', consisted of 20 volumes, each containing 75 hand--pressed photogravures and 300 pages of text. 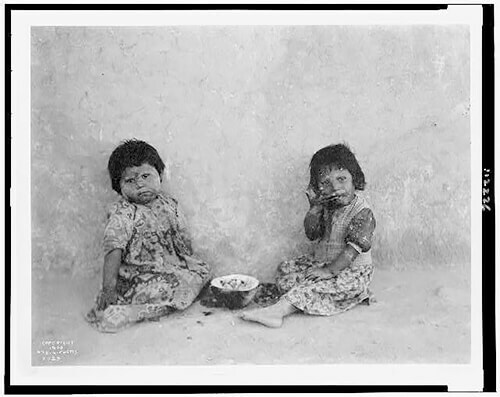 Each volume was accompanied by a corresponding portfolio containing at least 36 photogravures. 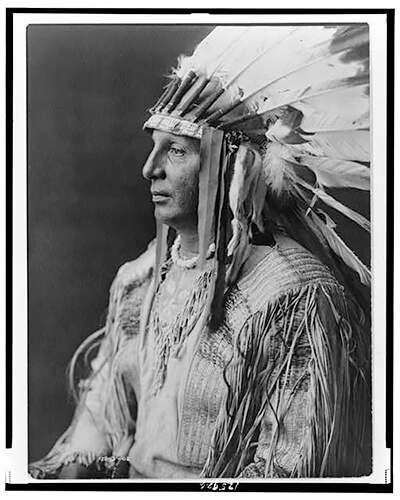 Edward S. Curtis was born near Whitewater, Wisconsin. 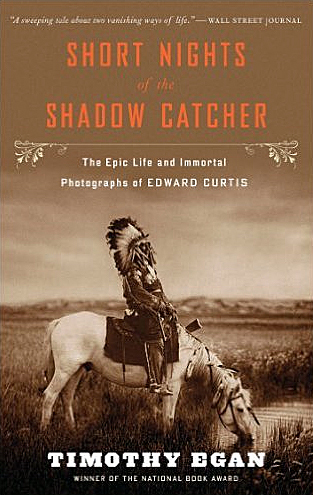 His father, a Civil War veteran and minister, moved the family to Minnesota, where Edward became interested in photography. 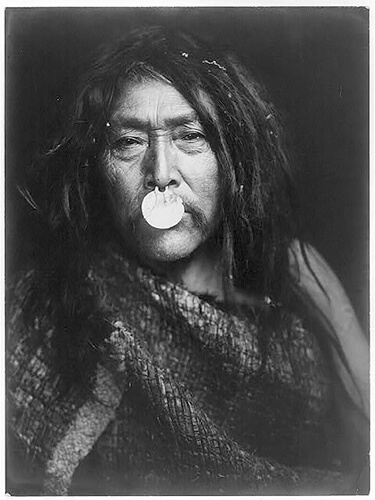 In 1892, Curtis purchased an interest in a photographic studio in Seattle. He married and the couple had four children. He later settled in Los Angeles, where he operated photographic studios at various times on La Cienega Boulevard and in the Biltmore Hotel. As a friend of Hollywood producer Cecil B. DeMille, Curtis was commissioned to make film stills of some of DeMille's films, including the epic, The Ten Commandments. 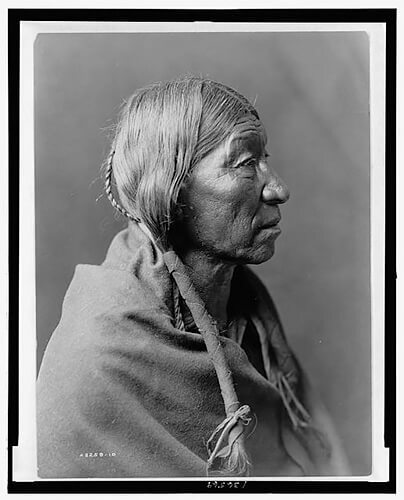 In 1899, he became the official photographer for the Edward Harriman expedition to Alaska and developed an interest Native American culture. 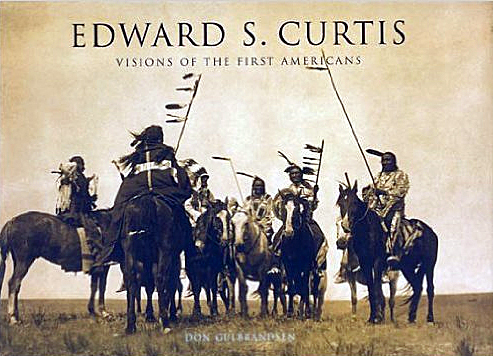 Curtis is best known for his documentation of Native American cultures published as The North American Indian. 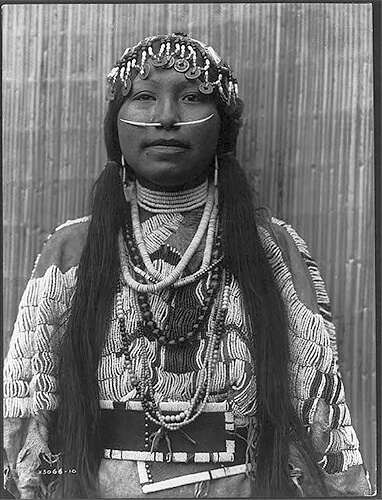 From about 1900 to 1930, he surveyed more than 100 tribes ranging from the Inuits to the Hopi, making more than 40,000 photographs. 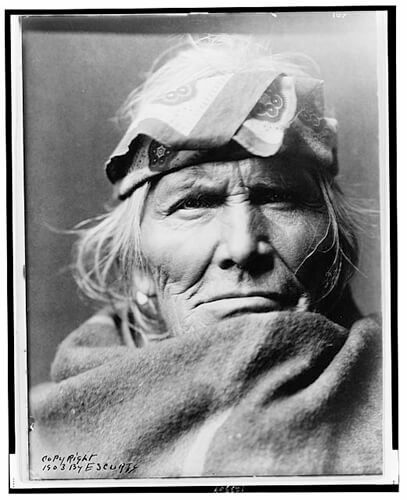 He made portraits of important and well-known figures of the time, including Geronimo, Chief Joseph, Red Cloud, and Medicine Crow. 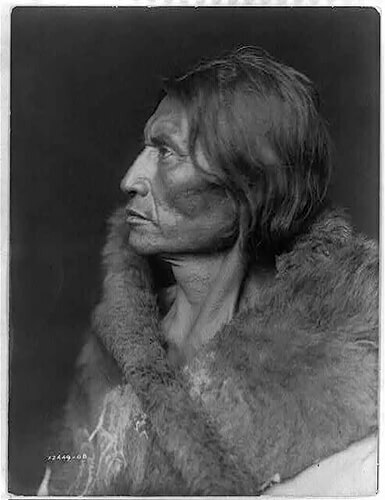 For over thirty years, photographer Edward Sheriff Curtis (1868-1952) traveled the length and breadth of North America, seeking to record in words and images the traditional life of its vanishing indigenous inhabitants. 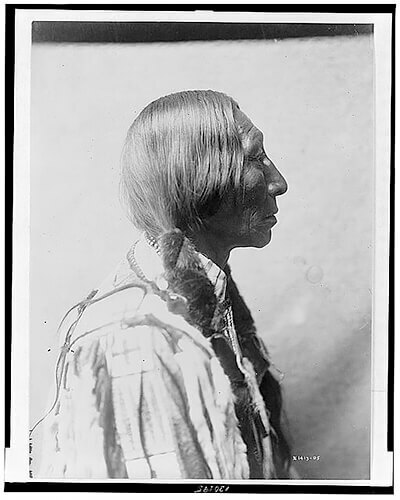 Like a man possessed, he strove to realize his life's work, which culminated in the publication of his encyclopedia The North American Indian. In the end, this monumental work comprised twenty textual volumes and twenty portfolios with over 2000 illustrations. 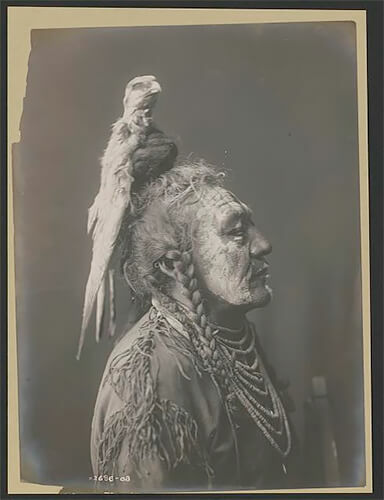 No other photographer has created a larger oeuvre on this theme, and it is Curtis, more than any other, who has crucially molded our conception of Native Americans. 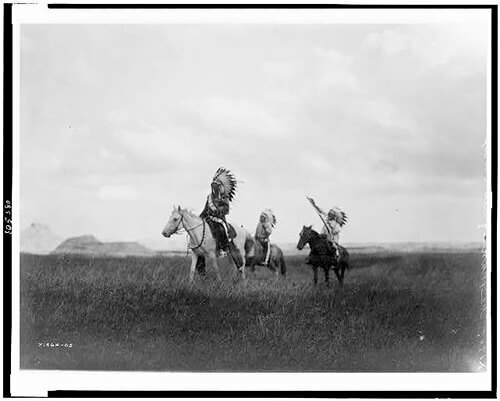 This book shows the photographer's most impressive pictures and vividly details his journey through life, which led him not only into the prairies but also into the film studios of Hollywood. 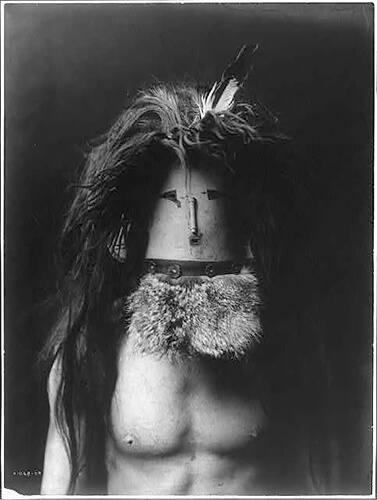 At the turn of the century, Curtis set out to photograph and document the tribal traditions of North American Indians--an enterprise that became a 25-year obsession. 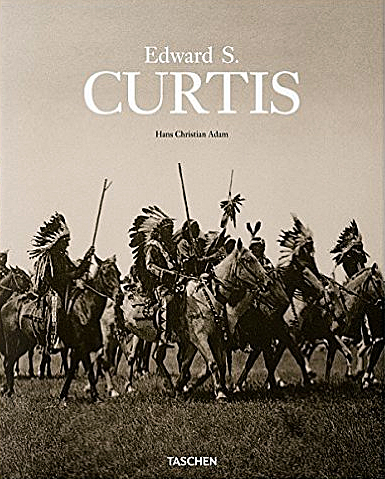 This collection of 125 of Curtis' finest photographs brilliantly capture tribal customs, costumes, and faces.